/media/BA/setup.exe.zip, and cannot find /media/BA/setup.exe.ZIP, period. 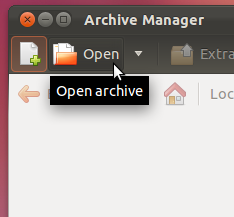 How can I archive games or other applications in Ubuntu? If this doesn't work open Archive Manager via Dash. 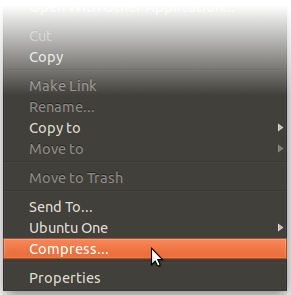 Click Open to add a file or just drag and drop it from Nautilus (file manager). Hope it works as it does here! Not the answer you're looking for? Browse other questions tagged software-recommendation compression or ask your own question. What is the best solution for document archiving? 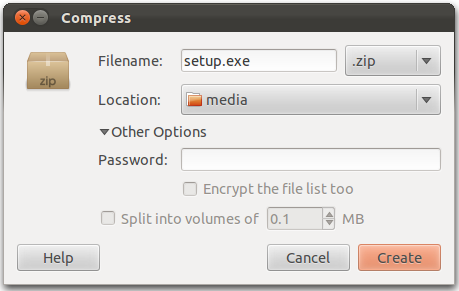 How can I store files in an archive without compressing them? How do I compress multiple files into a .xz archive? 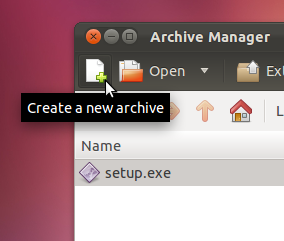 How does the Archive Manager handle temporary files?